The VROEMservice SDK is provided to help developers design a VROEMService. It encapsulates the communication between a VIVE Wave™ Server and a VROEMService. It also provides mechanisms for defining data transmission and making VIVE Wave™ Server to act. The VROEMservice defines several interfaces to make it easier to customize your own features. A VROEMService can get information from VIVE Wave™ Server. When developing a VROEMservice, you should implement the interface of IVROEMService and the interface of IVROEMService_api1. You can design your own behaviors according the information that is transmitted from VIVE Wave™ Server. The VROEMservice is responsible for checking the environment of device. It sends the validation result to VR app through VIVE Wave™ Server. VIVE Wave™ Server transfers data to VROEMservice continuously. And VROEMservice can make VIVE Wave™ Server to do actions according to received data. The lifecycle of VROEMservice is the same as VIVE Wave™ Server. VIVE Wave™ Server binds VROEMservice when it is created. And it unbinds VROEMservice when it is stopped. 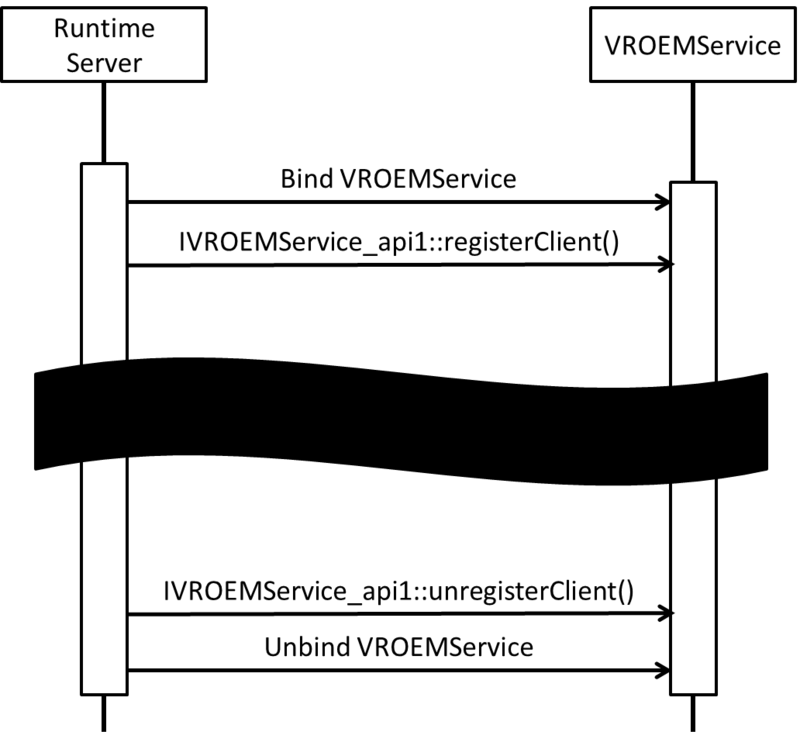 VROEM Library is responsible for transmitting data between VROEMservice and VIVE Wave™ Server. It involves some interfaces, enumerations and classes. See VROEM Library Tutorials. VROEMservice is inherited from the Android service component. And it should also implement the interface of IVROEMService and the interface of IVROEMService_api1. It is responsible for handling data from the VIVE Wave™ Server and communicating with it. See VROEMService Tutorials. ActiveService aims to keep connections of VIVE Wave™ Server and VRDeviceService. It is activated by VROEMService during the initialization phase of VROEMService. Keeping VIVE Wave™ Server and VRDeviceService running can avoid the situation of self-destruction. See ActiveService.